The Earth is Flat. Yes, I said it. Like the idea that the world is flat, there are many common beliefs that, with the passing of time, are proven false or become obsolete. One such belief is that you have little impact on or responsibility for your life. There is a predominant sense that external forces are stronger than your own, or that outside events have more impact on your well-being than your energy and mindset. That is, of course, false. As a society, we moved past the idea that the world was flat. We need to now move beyond the idea that energy is a foreign concept, or that it’s too woo woo, to be taken seriously. Energy is real and it permeates everything. Your energy introduces you to people, life, and situations before you utter a word. Not only does energy introduce you to people but it is actually your ambassador, it gets to a place prior to you physically arriving there. Your energy affects your day to day experiences and your quality of life overall. From personal experience, I can assure you that how you focus your energy can utterly change your life. When I was in my late teens. I had a deep depression due to my family going through personal, legal and financial issues. The depression was so bad that my college grades went down the drain (I failed most of my classes), and I couldn’t talk to a woman because of the fear of being rejected. I knew it would crush me. Likely I wouldn’t recover for weeks or even months at the low point where I was. When we experience pain and depression such as this, we automatically turn towards the quick fix without considering the deeper cuts and bruises that need our attention. Thinking back I can see that I was narrowed focused on how my depression was affecting my social, and dating life, and confidence. I overlooked the self-loathing I felt and bypassed childhood issues that I had not dealt with. As I’m coaching people in their dating and social lives, I see that the real change comes from helping people release old traumas and begin the process of self-healing. I’m extremely excited to give people the space to be self-aware and begin to heal and to love themselves fully and unconditionally. Soooooooooooooooooo be an ambassador of great energy. Check out the video below for more on this! 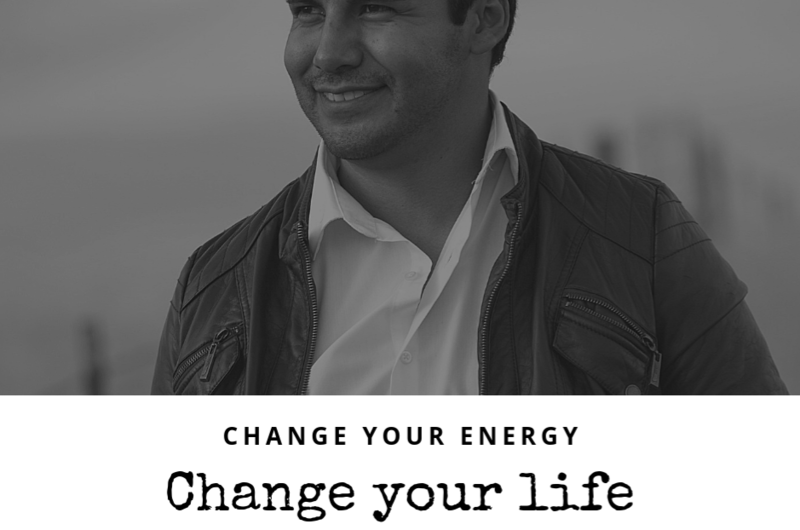 How do you change your energy? Change the story you tell yourself and you change your energy. Like Carl Greer notes in his book “Change Your Story, Change Your Life,” the vibe that you put out is mostly subconscious and comes from your self-talk or story. So, you must imprint your subconscious with the new story. The most common way is through affirmations or incantations and visualization with repetition. There are other ways as well, such as hypnosis or my personal favorite lucid dreaming. These work directly with the subconscious. More on that at a later time!. Next time you’re going out take a few minutes to calm your mind. Visualize exactly how you’d like events to happen. As you may already know, the brain doesn’t know the difference between what is imagined and what is “actually” happening. Maybe you visualize men or women being receptive to you, approaching you, chatting with you, etc. Take a deep breath and let it go. Now focus on, having fun and go out with the intention of adding to other people’s days or nights. Focus on, inspiring them to have a good time. Why change your story? You have the responsibility and the power not only to create your ideal life and self but also, to impact the world and people around you in the most positive way. Fill your cup so you can fill up others and be the best version of yourself! Schedule a complimentary call with us today! Click HERE.